PJ Powers is an award winning musical artist with 12 gold discs, four platinum and a gold CD. Her career started in 1980s as the lead singer of Hotline, and her solo career flourished during the 1990s and 2000s through her collaborations with some of the most distinguished musical artists in the world. 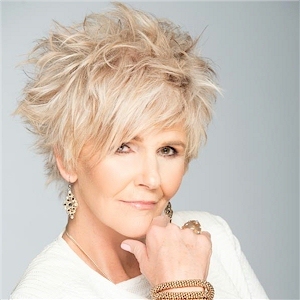 PJ Powers has shared the stage with the likes of Eric Clapton, Joan Armatrading, Jimmy Dludlu, Hugh Masekela, Lord Richard Attenborough, Richard E. Grant, Sibongile Khumalo, Fela Kuti, the Mahotella Queens, Salif Keita, Youssou N Dour, Miriam Makeba, Harry Belafonte and, more recently, with The Cause and Mike and the Mechanics. She has also worked with world famous artists Annie Lennox and Peter Gabriel, during her long career, to mention a few.